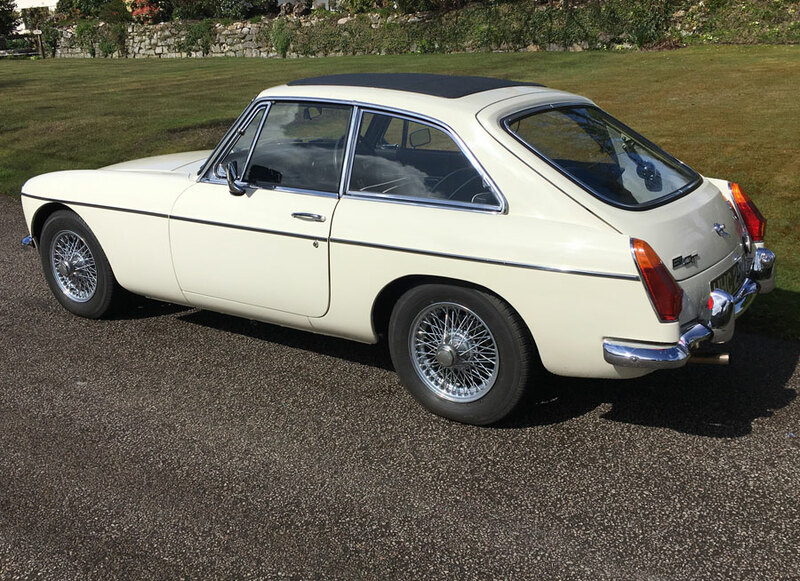 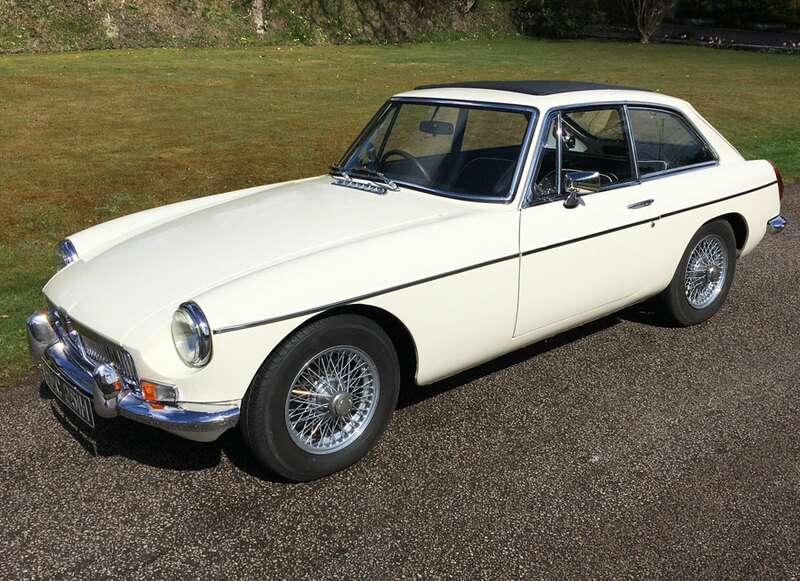 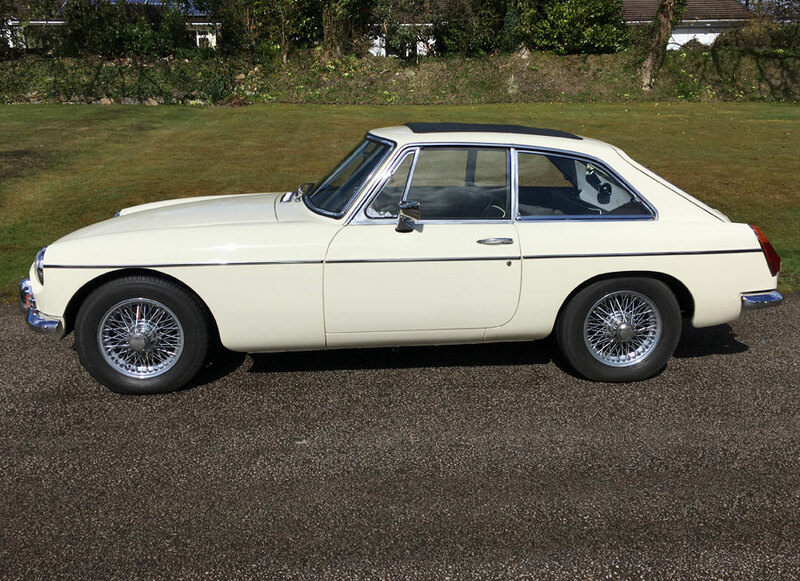 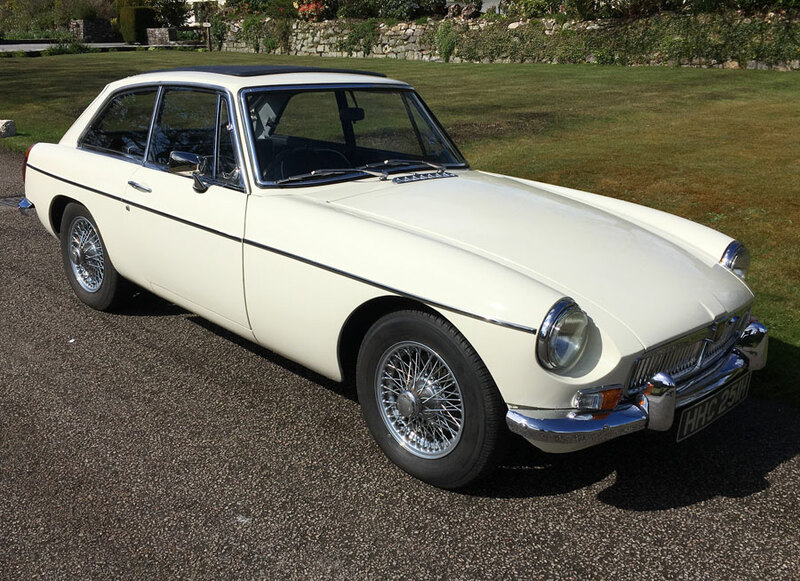 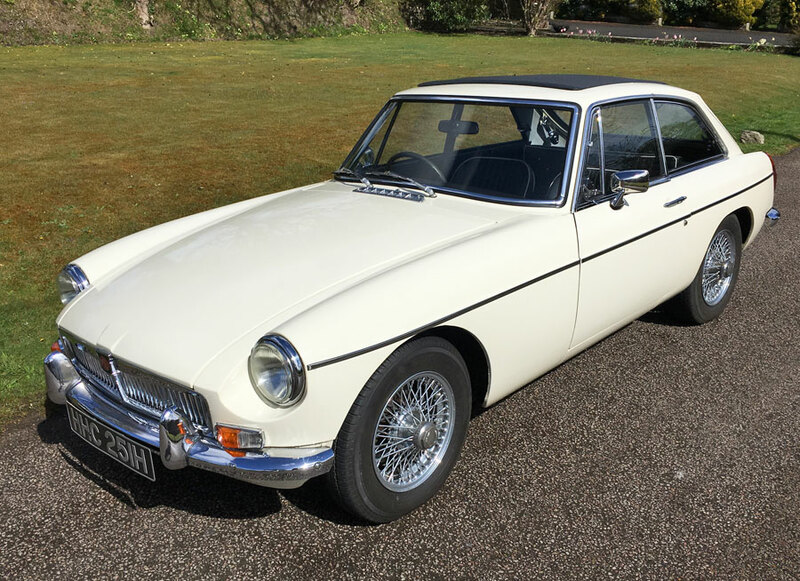 1970 MGB GT finished in Old English White with black interior and Webasto Sunroof. 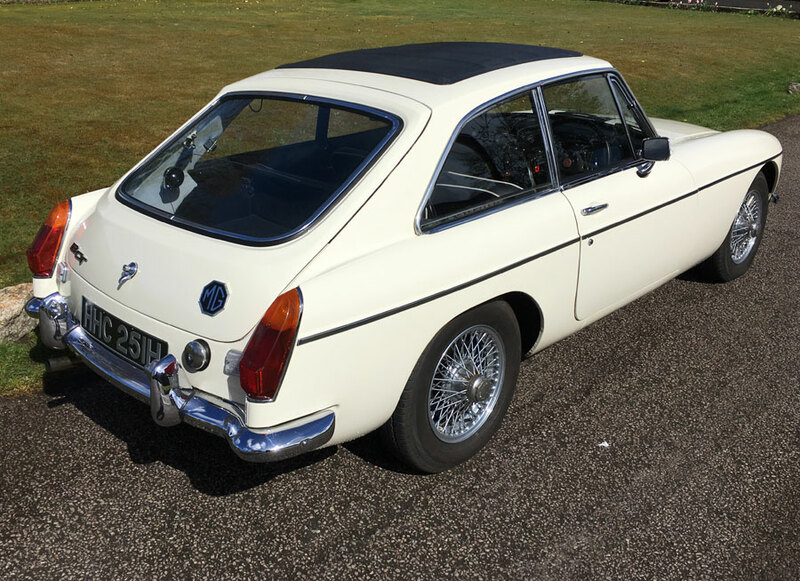 This car has been restored by us over the past year. 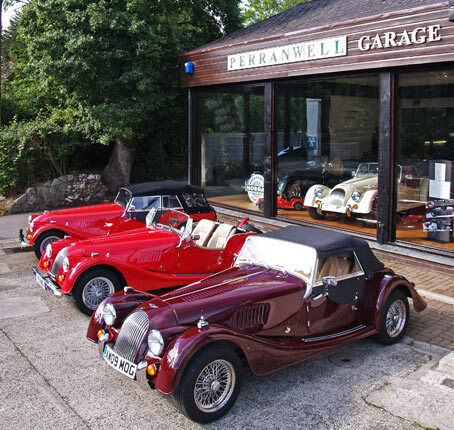 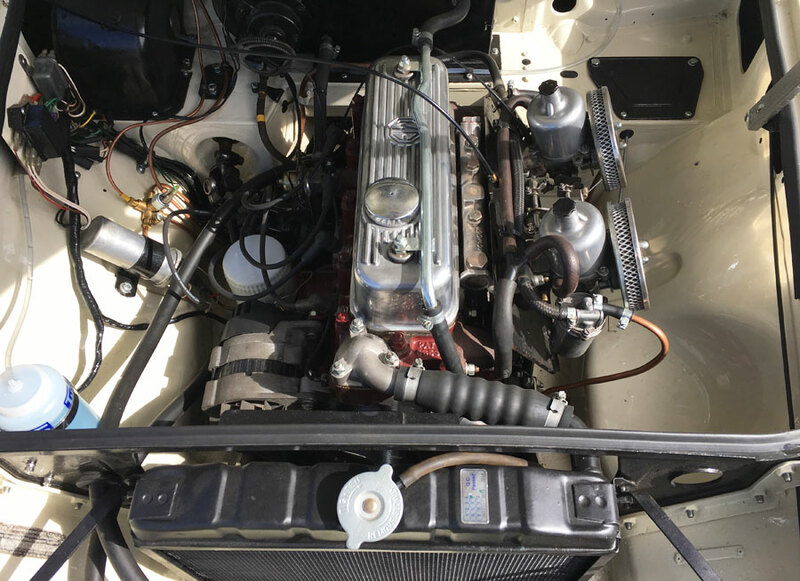 The car was completely stripped down, repairs carried out as required, prepared and then completely repainted and rebuilt. 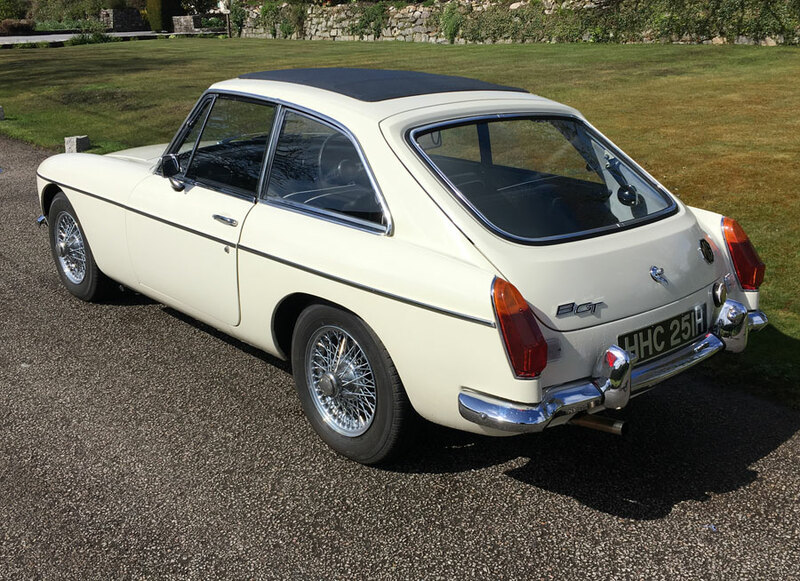 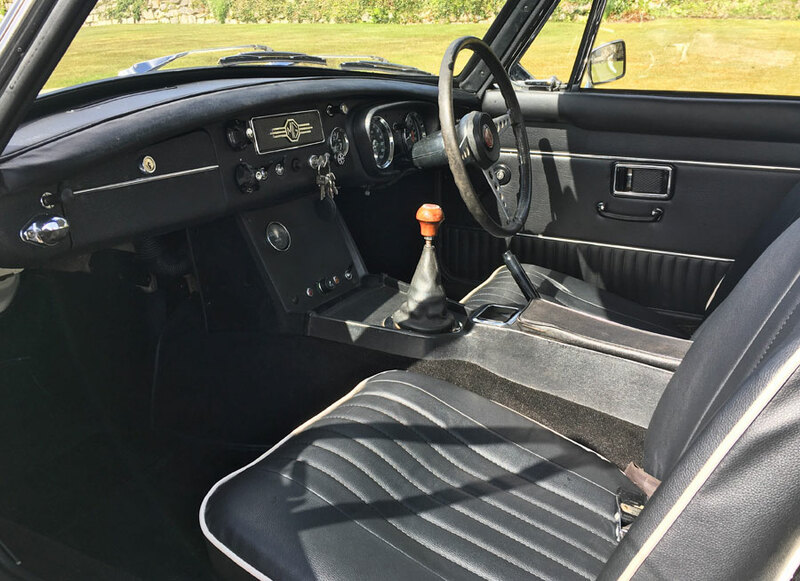 This included the fitting of new doors, new wiring harness, new dashboard, new shock absorbers, new tyres and the addition of an electronic ignition. 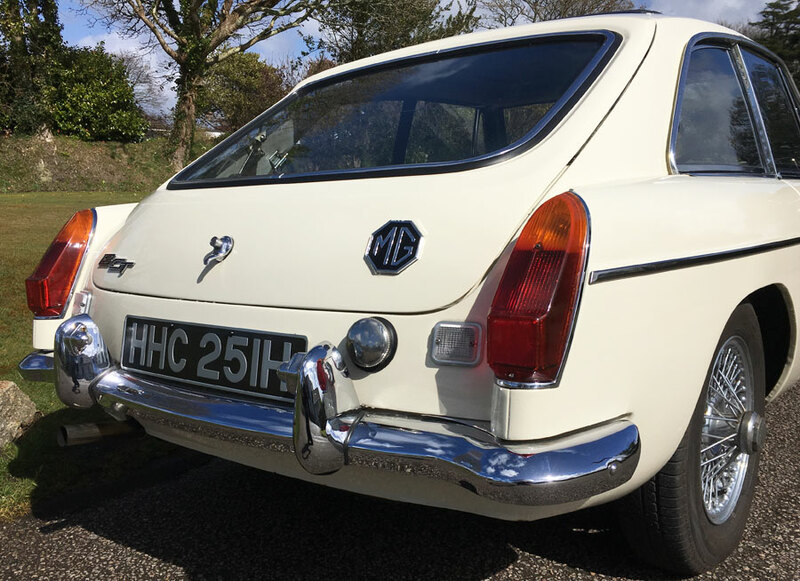 Much of the Chrome work has also been replaced. 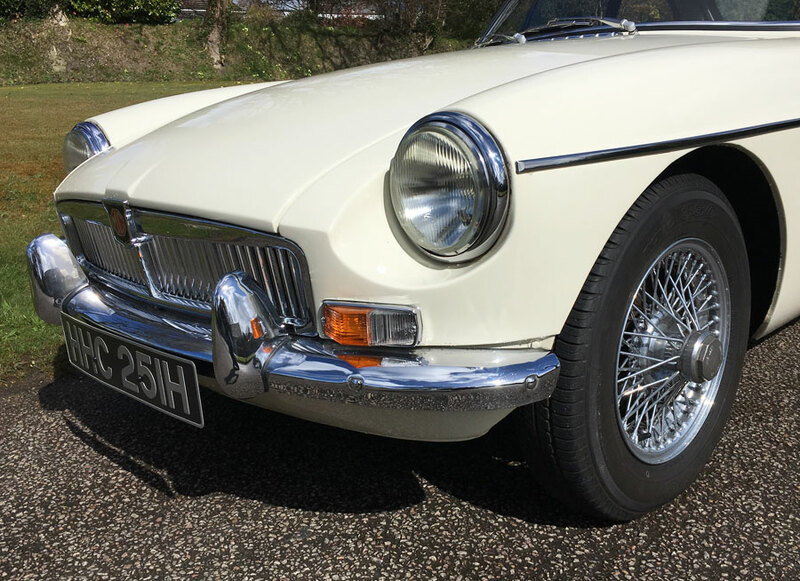 The car looks stunning in the timeless combination of Old English White with a black interior and painted wire wheels with spinners. 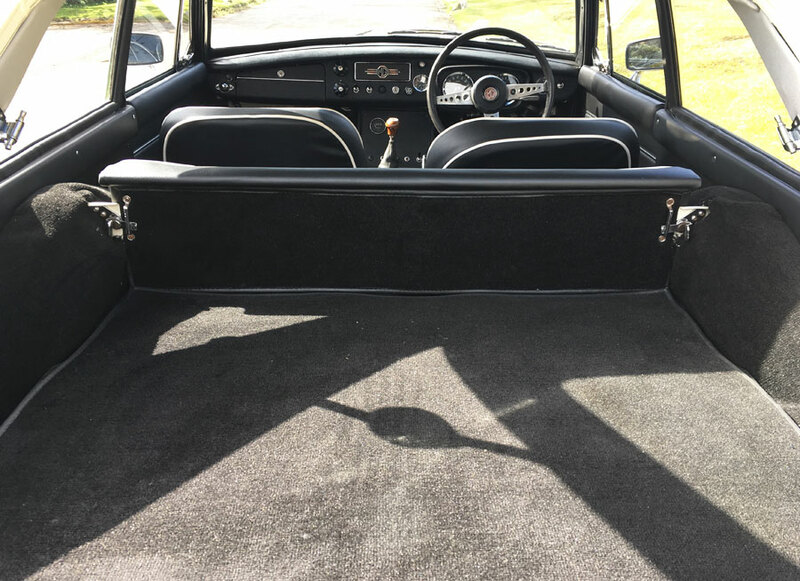 It has the desirable additions of a Webasto Sunroof and overdrive.